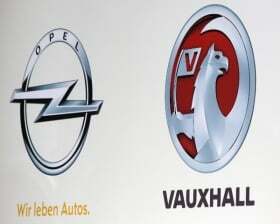 Opel/Vauxhall dealers will get new showroom standards designed to strengthen the brand's identity. The General Motors Co. subsidiary wants to sharply increase brand value and position the marque more exclusively within multi-brand dealerships. In recent years, Opel has oriented its Insignia, Astra and Meriva models strongly upmarket. Alain Visser, Opel/Vauxhall's head of sales and marketing, said new dealer contracts will come into effect in June 2013 and their goal is to strengthen the Opel brand. Among other things, the automaker envisions a uniform corporate identity, a clear signaling of brand emblems, sales areas that are separate from non-Open brands and special training for all sales persons. "For example, we no longer want to see the Opel lightning bolt below another brand," Visser told Automobilwoche, a sister publication to Automotive News Europe. Visser said there is no strategy to take the Opel brand out of multiple brand dealers. "It's not our style to establish a single Opel network. We also continue to support the multiple brand dealerships." He said it's clear that dealers need an appropriate transition period and, to some extent, financial support. "We won't overburden our dealers," Visser said. "But June 2013 will ultimately be the date." In the long run, there won't be room for dealers who don't implement the new strategy, Visser said. "That's always been the case with dealerships." The mood in the network is correspondingly muted. According an insider, several dealers are already calculating their claims for compensation as a precautionary measure. The project has been officially presented to Opel's European dealer association Euroda, and the "applause was not all that great," a source said. The German dealer association VDOH will deal with the issue on March 18, and has put it on the agenda for its member meeting on March 24.